The most exciting, adventuresome state in the United States has chosen a state flower uniquely suited to this state of immigrants, business people, artists and world leaders. The rose is the state flower of New York. This selection of a state flower is especially fitting in many ways for the great state of New York. 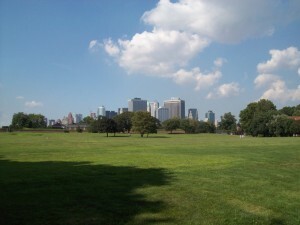 Home to the largest and most bustling city in the US, New York has a huge variety of citizens that call it home. 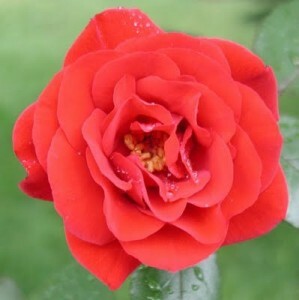 Likewise the rose has more varieties, both natural and manmade, than virtually any other flower. There are over 100 species of roses and all are colorful while most are fragrant. The rose seems to be distressingly common, but it is the rich and deep beauty of the rose that makes it a favorite the world over. The more roses there are, the richer the fragrance and excitement they create. The rose can appear in many forms and is a preferred flower for millions of people – many of whom could very well be crowding the streets of New York. New York did not identify a state flower until 1955 despite polls of school children as to a preference decades prior. When it did identify the rose as the state flower of New York, the government did not go on to specify the type of rose. Instead, the state claimed, “The rose shall be the official flower of the state in any color or combination of colors common to it.” Leaving the interpretation of the rose open to the vast number of citizens makes it even more suitable for the immense number of viewpoints and desires. 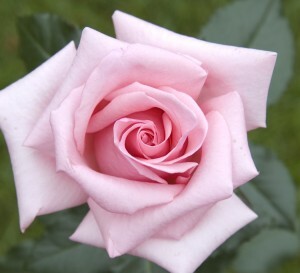 Despite this, however, it is often the tea rose that is depicted as the state flower of New York. Roses are a perennial shrub that can be prone to pests and disease. Taking care of the roses requires attention and dedication to good gardening practices. Grow roses in full sun paying careful attention to the quality of your soil. Roses prefer loamy soil, and once established the bushes are hearty – especially when pruned back to encourage fuller growth. The blooms of the rose bushes vary in size, shape, color and fragrance, but all are beautiful. This entry was posted on Tuesday, August 18th, 2009 at 7:19 pm	and is filed under American Flowers. You can follow any responses to this entry through the RSS 2.0 feed. Beautiful!So cool & so cute red flower…. i think the roses are little angels !!!! !